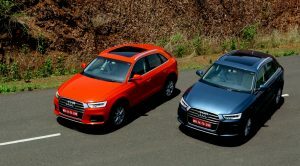 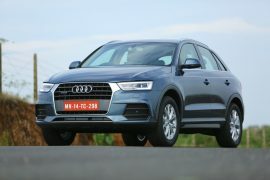 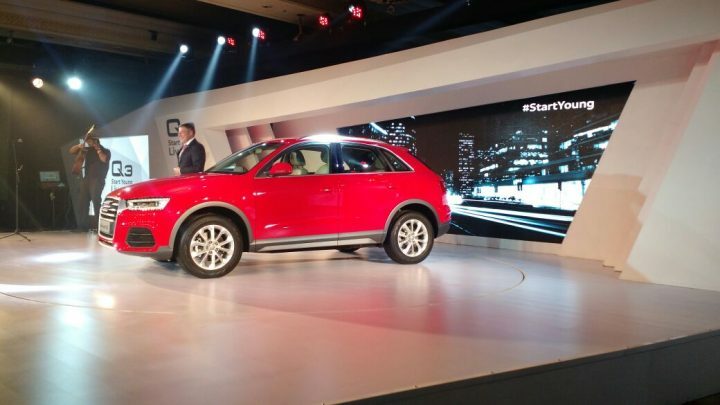 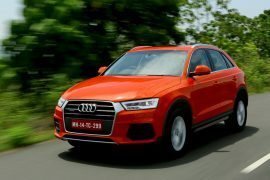 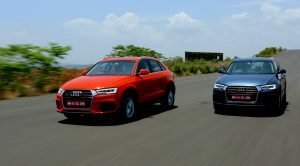 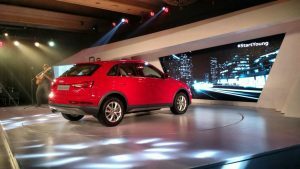 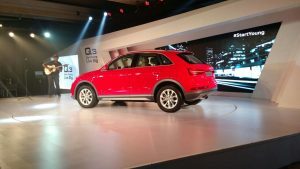 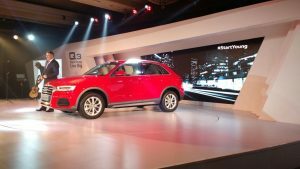 The updated Audi Q3 has just been launched in India, and the new model has been introduced to us at an official event in New Delhi. 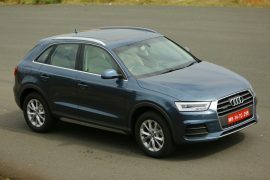 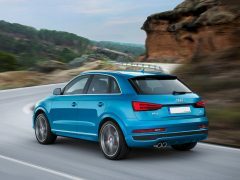 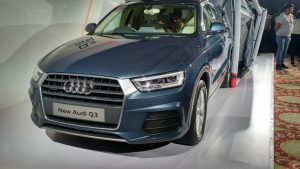 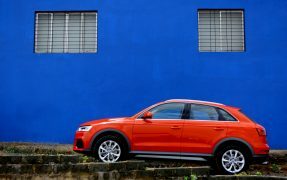 Seen here on this page are a handful of new Q3 facelift pics that provide you a good look at the recently launched model. 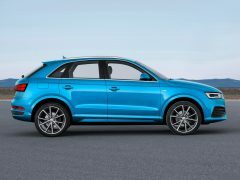 As can be seen in the 2015 Audi Q3 pics that we have here, the 2015 Audi Q3 Facelift, akin to other new cars from the Ingolstadt-based premium car maker, gets subtle styling changes that go a long way in bestowing the Q3 with a sense of freshness. 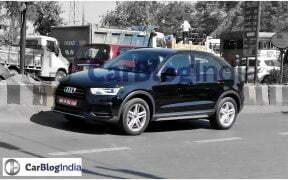 Here, in this post, we have put together all the available 2015 model Audi Q3 launch details and our exclusive spy pics of the upcoming model. 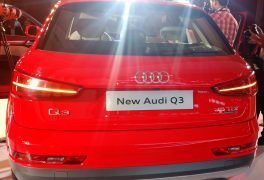 As we just said, the refreshed Q3 carries minor styling changes that infuse some more appeal with this car’s exterior design. 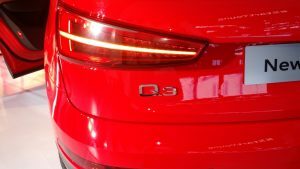 The 2015 Q3 gets an updated front fascia that is characterized by a Singleframe grille, new bumper and optional LED headlights. 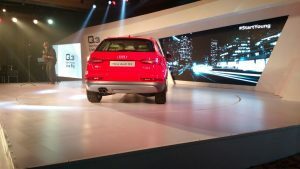 Also new to the car are LED taillights, Dynamic turn indicators and new design mag wheels. 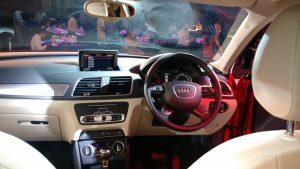 The interior of the car remains largely unchanged, but our guess is that the features list will see some additions. 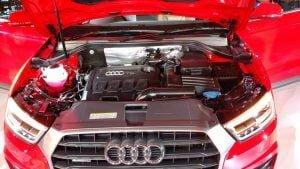 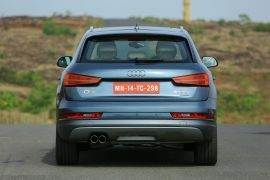 Mechanically, the Q3 35 TDI continues being powered by a 2.0-liter TDI diesel engine that produces 177 bhp and 380Nm torque. 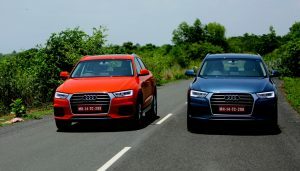 It is mated to a 7-speed dual-clutch automatic transmission. 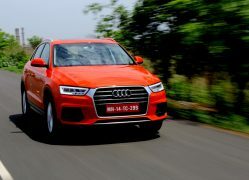 The entry level Q3 30 TDI is powered by the same engine but in a different state of tune producing 140 bhp and 320 Nm torque and comes mated to a 6-speed manual transmission. 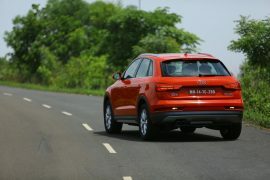 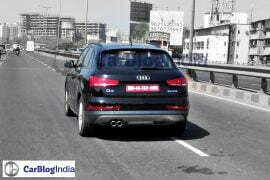 Stay tuned to Car Blog India for more 2015 model Audi Q3 India launch details and pictures.